No images of AAA Trade Power Installations. We ordered our system in December, it wasn't installed till 7 March but was kept informed of the delay. Instalation people were great. Our next problem was getting permission to connect to the grid from Integral we were told there would be a 3-6 week delay. After contacting local member of parliament our approval came through 1 week later. They can move when they have too. 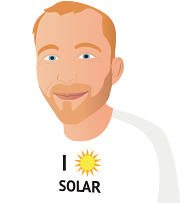 I received one query re quotation for Solar Power from a local company through your referral system. A workmate from another district, also using your referral system received online quotes and subsequently made contact with AAA Trade Power among others. After comparing quotes I then made contact with AAA Trade Power.